Despite our track record of excellence among Manhattan Beach schools, state funding remains at the bottom of the nation. Our Parent Teacher Association (PTA) and the Manhattan Beach Education Foundation (MBEF) are vital partners in ensuring the quality of education our students receive at MBMS. During this coming year, the MBMS PTA will spend OVER $300 per student and MBEF will fund over $1.3 million in educators and programs at MBMS ($6 million districtwide)–resources that are critical to our children and our schools. It is imperative that MBMS families donate to BOTH the PTA and MBEF to continue to support the things, people and programs that promote student learning and development. We understand that families are able to give at different levels – please be as generous as you can. The annual PTA membership fee of $15 per parent covers the state, national, and local PTA dues, and it includes access to our online school directory, as well as an MBMS PTA car magnet. Please consider a higher level tax-deductible donation of $275 per child to support the PTA programs and services your MBMS student enjoys. 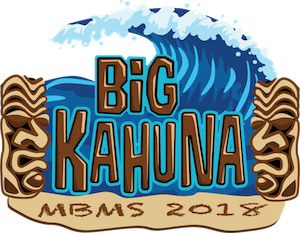 Or donate $275 per child, buy a yearbook, and give or pledge to MBEF at the suggested donation level, and become a Big Kahuna! We ask every family to support MBEF, because every student benefits from the programs MBEF funds. The suggested donation is $1750 per student – please give what you can. You can visit MBEF.org to donate online, schedule installments or pledge to give before June. Thank you for your generosity and partnership. We could not accomplish what we do without you!